Berkeley "Augie" Johnson, who recently appeared on "The Ellen DeGeneres Show," will be signing copies of his debut novel The Divinity Protocol (co-written with Kristin Johnson, no relation) on Thursday, February 15th at 7pm at Chaucer’s Books in Santa Barbara where he will donate the proceeds to The Santa Barbara Foundation. Berkeley "Augie" Johnson, who appeared on January 23rd on the "Ellen DeGeneres Show" helping raise funds for the Santa Barbara community, will be signing copies of his debut novel The Divinity Protocol (co-written with Kristin Johnson, no relation) on Thursday, February 15th at 7pm at Chaucer’s Books in Santa Barbara where he will donate the proceeds to The Santa Barbara Foundation. Visit http://www.chaucersbooks.com. Chaucer’s Books is located at 3321 State Street in Santa Barbara. Call (805) 682-6787 for details. Johnson said he will be donating all net book proceeds to help people impacted by the recent mudslide devastation. You can donate to the Santa Barbara Foundation Community Disaster Relief Fund. http://www.sbfoundation.org/community-disaster-relief-fund. Johnson's story of surviving the mudslides ran in the news coverage of the disaster. The mudslides killed 21 people and devastated many homes, including Johnson's, which completely caved in from behind. Johnson and his family survived by climbing up on the roof. Now Johnson intends to help the victims of the mudslide. The Santa Barbara Foundation Web site notes, "Often, with the worst of circumstances comes the best of humanity...Santa Barbara County was recently impacted by the Thomas Fire, the largest wildfire in California history, and our communities are now responding to the devastation caused by flooding and mudslides. To provide the needed financial assistance to organizations that are actively engaged in emergency response and recovery operations, the Community Disaster Relief Fund has been activated and is accepting donations." That spirit of community motivated Johnson's book-driven fundraiser. 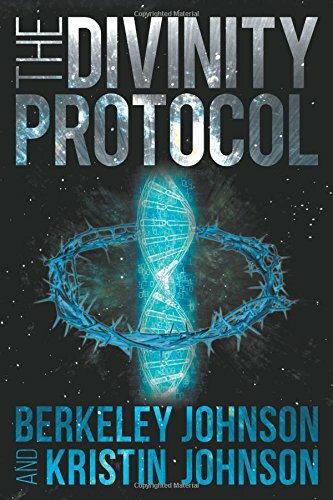 Johnson said, "The Divinity Protocol may not be about a mudslide, but its themes remind you that you can make a choice even in the darkest times to work for the good of humanity and to create a better tomorrow." Visit https://www.thedivinityprotocol.com for more information about the book.